It is Merseyside derby weekend and with both teams pushing for Champions League football it promises to be a pulsating tie. 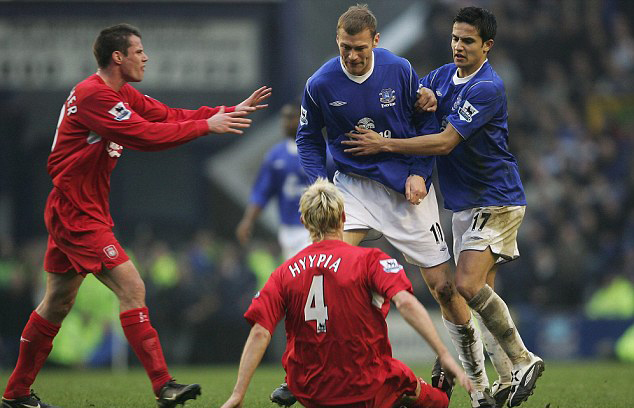 Everton will be looking to regain some local pride having not won any out of the last six derbies. Saturday’s fixture will pit two former Swansea managers against one another and with both teams playing with a continental style it promises to be a very different derby. Possession has been the order of the day for both teams and both have evolved to dominate the ball in the majority of games. Where Everton have found themselves lacking has been in front of goal and a cutting edge is required if Everton are going to have serious top four ambitions. With so many changes at both clubs, it will the first experience of this special local game for a number of players and it is also Martinez’ first taste of the derby. It is well documented that Roberto Martinez turned down the Liverpool job shortly before the Anfield club made a move to recruit the Board’s second choice Brendan Rodgers and Martinez is looking forward to his first taste of the Merseyside derby. “From my point of view, it’s the most exciting one for the history that is surrounding the game and the passion of the fans. Another to have rejected a move to Liverpool is derby debutant James McCarthy. The Everton and Ireland midfield decided that his future would be better served by remaining at Hamilton Academicals, a move he doesn’t regret. Speaking after completing his deadline day move to Goodison Park, McCarthy explained the circumstances behind his decision. Both teams have had to contend with a number of player spending much of the last fortnight away with their international teams and one or two have returned with slight knocks. One player who has overcome his injury nightmare is Antolin Alcaraz, although the intensity of this particular fixture may rule him out on Saturday. Ross Barkley will be hoping he has done enough in his recent cameo appearances to earn a recall and with Everton lacking penetration, fellow 19-year-old, Gerard Deulofeu will also be hoping to earn a starting spot.